The other day I met and had a friendly chat with the Scottish born Australian, Dr. John Masterton (right). Now in his eighties, he remains sharp as a tack. He has a great sense of humour, and keeps his lengthy career credentials modestly close to his sleeve, but I know that he was once the Medical Director of the Burns Unit at the Alfred Hospital in Melbourne, Victoria, from 1967 to 1996. Today he continues to be busy as the Director of the Rowan Nicks Scholarship. 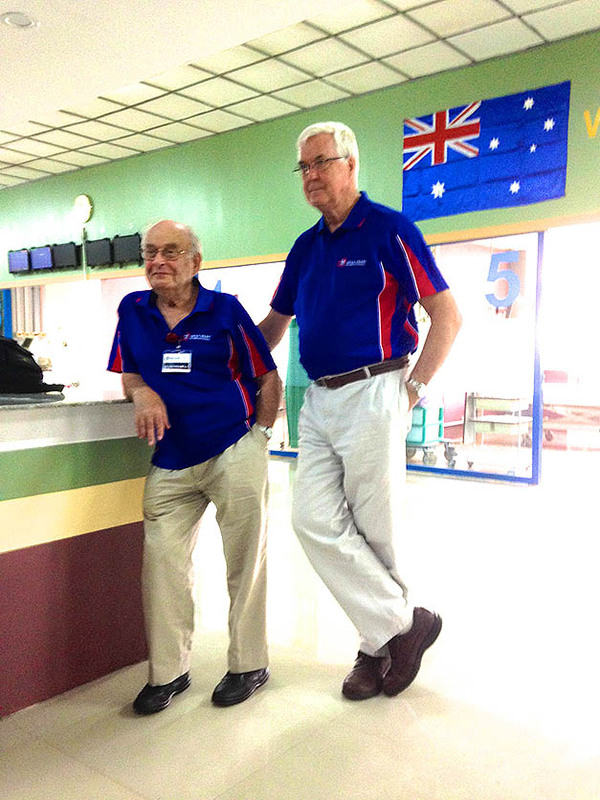 The Myanmar OHI team has had the privilege to have Dr. John Masterton and Dr. Alan Gale join us on this trip. Never a dull moment with either of them in our company. Both quick to engage in a lively discussion, with a wealth of knowledge and history. Dr. Alan Gale (pictured below with John) is also is a member of the democratic committee that chooses the successful candidates for the Rowan Nicks Scholarship. Allow me to share with you some background, along with how the Rowan Nicks Scholarship works. Dr. Rowan Nicks was once a cardiac surgeon and Medical Director of Sydney’s Royal North Shore Hospital. 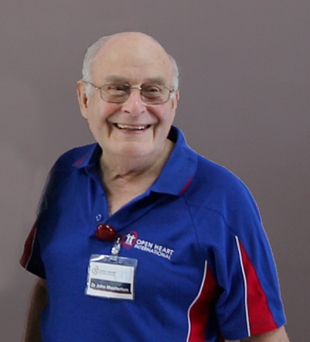 Dr. Alan Gale was his last Registrar before he retired. Dr. Nicks died two years ago in his late nineties. John tells me, he was a lovely man, that eventually devoted his life traveling to, and helping in, the developing world communities of Africa and India, after his wife died. 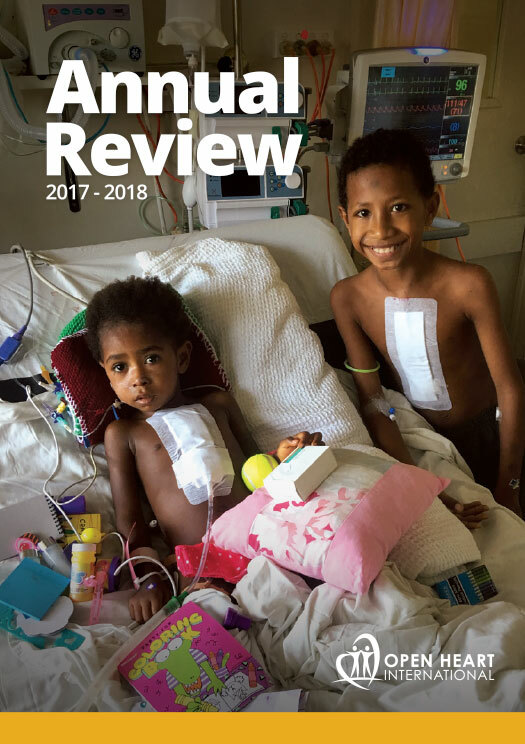 Born to wealthy New Zealand timber merchants, Dr. Nicks used his family inheritance to establish a scholarship which would encourage young surgeons to Australia, in order to derive benefit of further training in more advanced health facilities. Hence, several million dollars was eventually left with the Royal Australasian College of Surgeons to invest, which now funds the Rowan Nicks Scholarship. Having been in operation for 25 years now, the Rowan Nicks Scholarship has funded approximately 40 scholarships over that time. Most originally from Africa and India, now many more come from the South east Asian region and the Pacific Islands. There have been two scholarships awarded to candidates from Myanmar, they being Professor Khin Maung Kwin in 2005 and later, Dr. Win Win Kyaw in 2010. 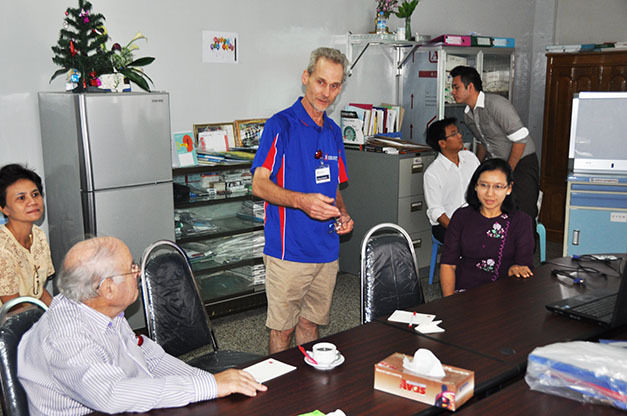 Another trainee surgeon from the Yangon General Hospital is due to visit Australia in the middle of 2014. The Rowan Nicks Scholarship is advertised internationally, but word of mouth and recommendations by Australian surgeons are also prominent. Accepted trainees into the scholarship are provided with funds to cover accommodation and living expenses within Australia for up to a year. The young trainee surgeons from other countries are granted temporary visas and arranged into formal surgical training programs in any of the participating units across the major cities of Australia and New Zealand. The criteria for being chosen is that they must be able to understand and speak a reasonable level of English. They must be a trainee surgeon nearing the end of their trainee period, so achieving their native country’s higher degree for surgery. An honourable agreement also takes place, that when the scholarship training ends, the surgeon will return to his country of origin to work and teach. There can be up to thirty applicants to the Rowan Nicks Scholarship in any year. 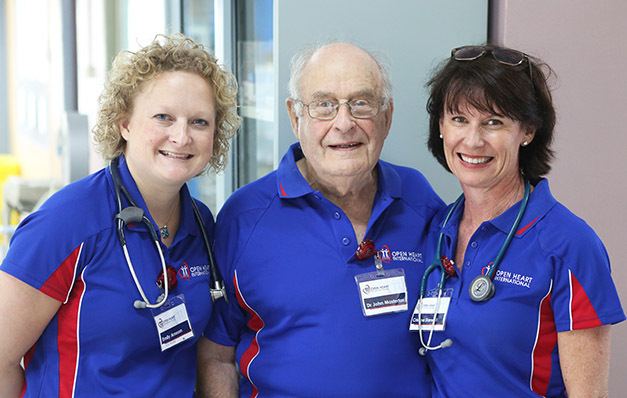 Left photo: Dr. John Masterton with Emily Arneson (left), ICU Nurse and Christina Darwell (right), physiotherapist. Right photo: Dr. John Masterton (left) with cardiac surgeons Dr. Bruce French (middle) and Dr. Win Win Kyaw (right), one of the previous Rowan Nicks Scholarship winners. Dr Kyaw has now has grown to higher responsibilities and achievements, that many have applauded.